Crispy breadcrumbs are a low-effort way to add tons of flavor and texture to your meal. 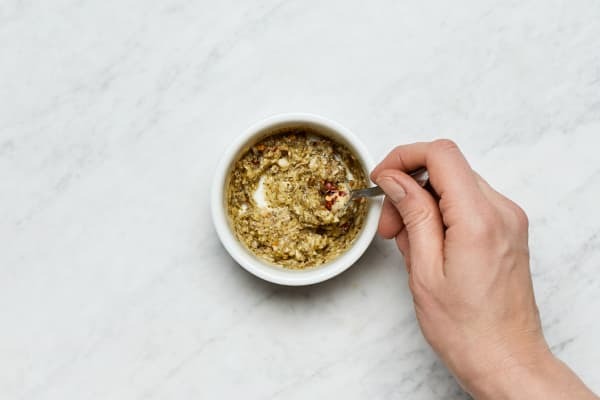 This scene-stealing garnish originates from the Italian pangrattato, otherwise known as grated stale bread, which was used in place of Parmesan. Lucky you, we’ve upped the ante and combined both to create one comforting yet elevated weeknight dish. This tasty topping perfectly accentuates tender, cheese-stuffed tortelloni. 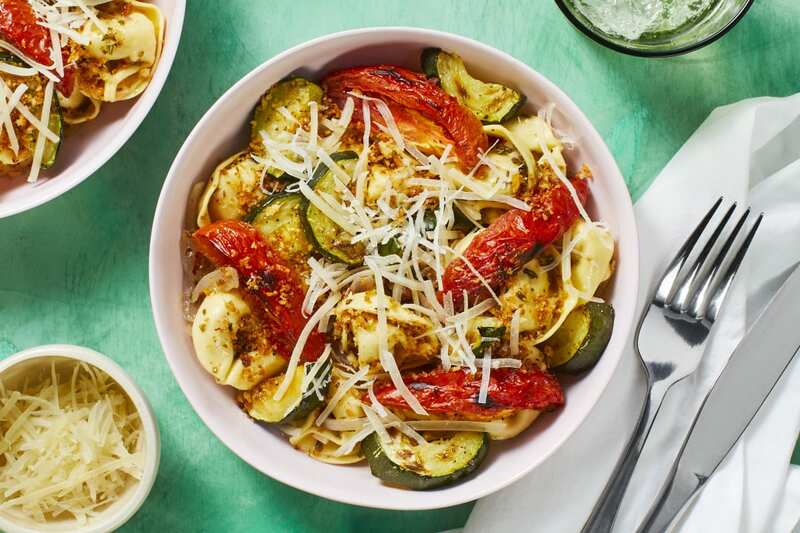 The pillowy pasta is coated in rich garlic-herb butter and tossed with sweet sautéed shallot and roasted veggies for bite after bite deliciousness. Can you say pasta night bliss? Adjust an oven rack to the top position and preheat oven to 450 degrees. Bring a medium pot of salted water to a boil. Wash and dry all produce. 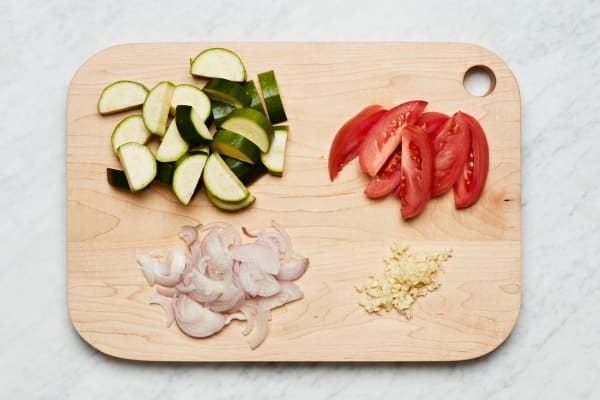 Trim and halve zucchini lengthwise, then cut crosswise into ½-inch-thick half-moons. Cut tomato into 8 wedges. Halve, peel, and thinly slice shallot. Mince garlic. 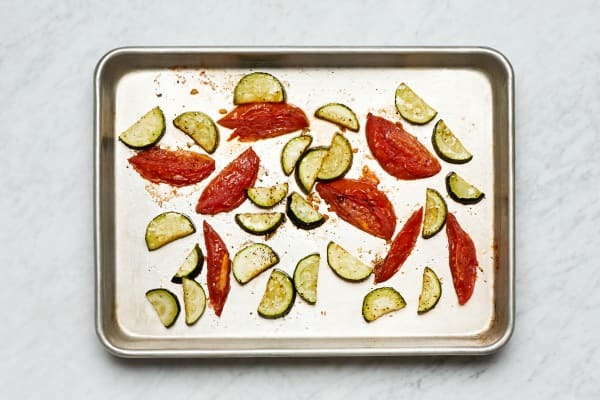 Toss zucchini and tomato on a baking sheet with a drizzle of oil, salt, and pepper. Roast until browned and tender, 15-20 minutes. Melt 1 TBSP butter in a small pan over medium-high heat. Add panko and cook, stirring, until toasted, 3-4 minutes. Turn off heat; season with salt and pepper. Once water is boiling, add tortelloni to pot. Cook until al dente, 3-4 minutes. Scoop out ½ cup pasta water, then drain. Heat a drizzle of olive oil in pot used to cook pasta over medium-high heat. Add shallot and cook, stirring, until softened, 1-2 minutes. Add garlic herb butter and cook until melted and fragrant, about 1 minute. Add ¼ cup pasta water; stir until a buttery sauce forms. 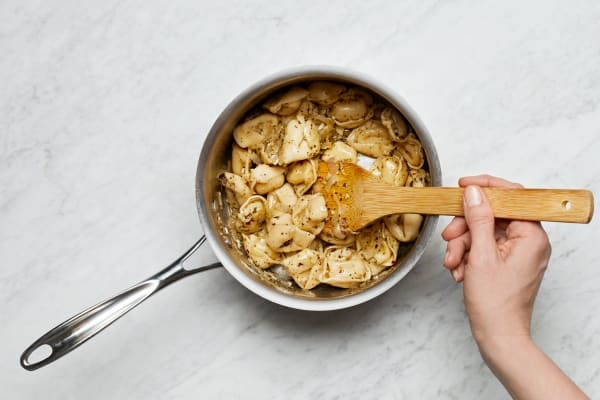 Stir in cooked tortelloni until coated. Add more pasta water, if necessary, to loosen the sauce. Turn off heat; season with salt and pepper. Divide pasta between bowls. 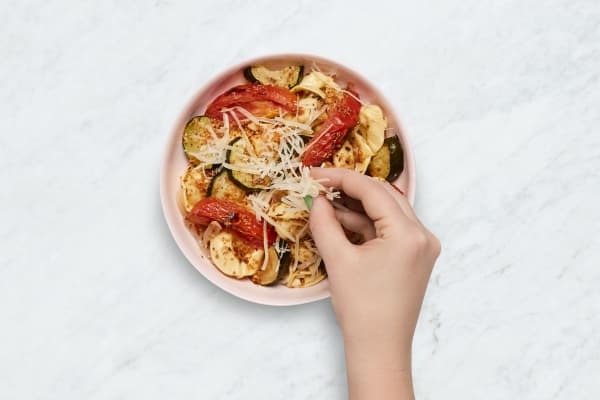 Top with roasted veggies. 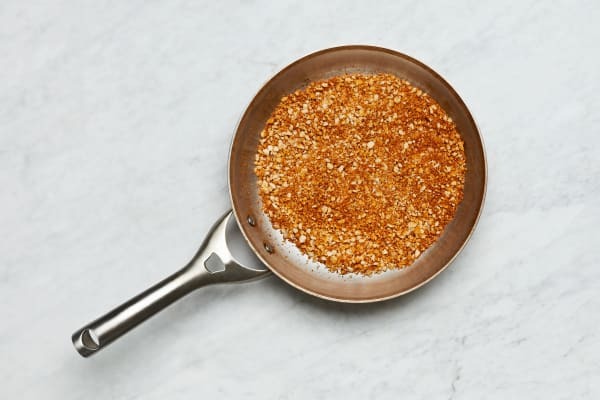 Sprinkle with Parmesan, toasted panko, and a pinch of chili flakes if desired.